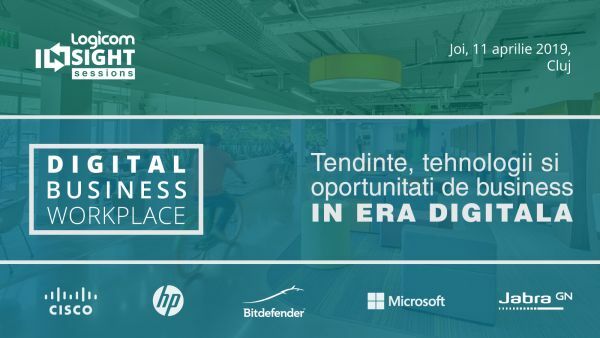 “Digital Business Workplace” is the place where you will find out how you can turn the latest technology into business benefits. New technologies change the paradigm of interaction and business. 29% of Romanian companies expect digital business models to turn their industry to a great extent over the next 1-3 years. The event will take place at Hampton by Hilton in Cluj-Napoca on Thursday, April 11, starting at 14.00. The decisions and the impact of technology migrate to key business departments such as HR, Marketing & Sales.